Studio #18 - Darling for a Couple or a Solo Traveler - 1 NEW QUEEN Pillow-top Bed. Full Kitchen. 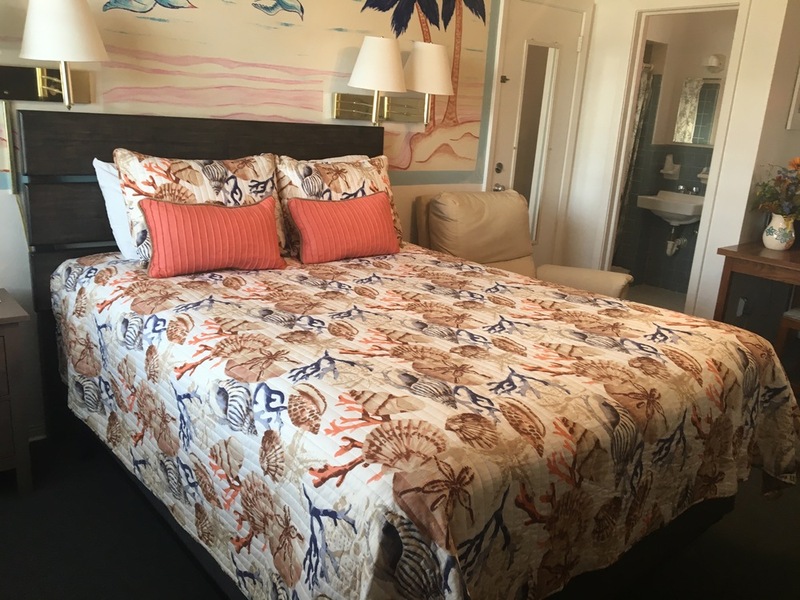 Max Occupancy: 2 Cute, Cozy, and Very Affordable! One of our most economical and Updated Studios. 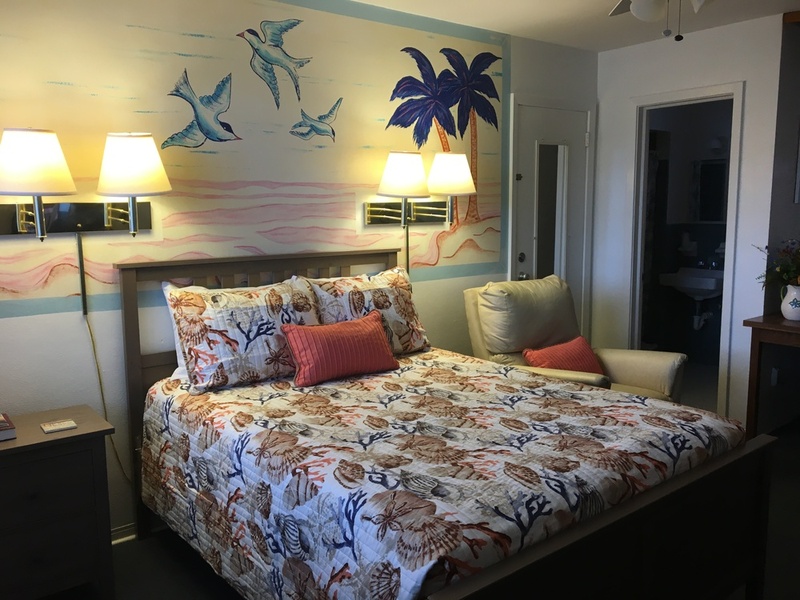 We just updated this room in January, 2018 with 1 Brand New Pillow-top QUEEN Bed, new carpeting, beautiful new quilts, a stylish new bedroom dresser, and beach-themed artwork. Cozy recliner. Desk. 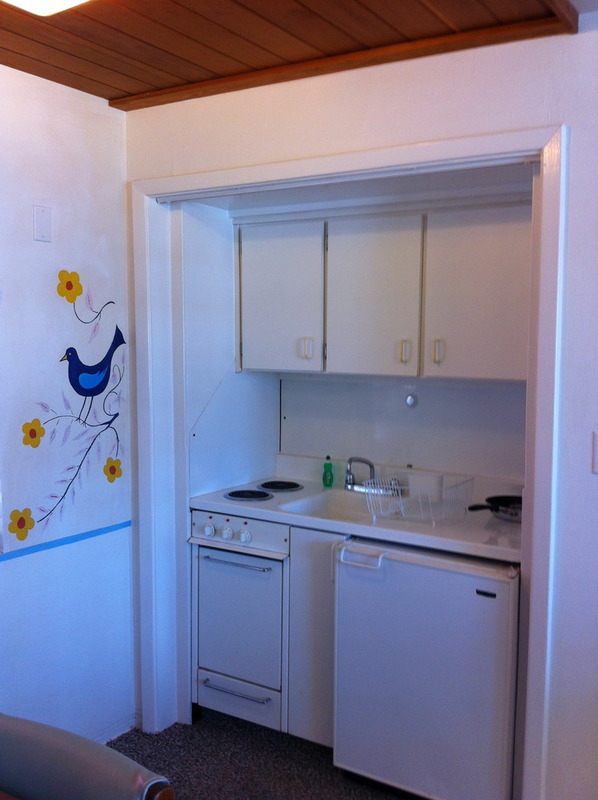 Adorable small kitchen and dining area. 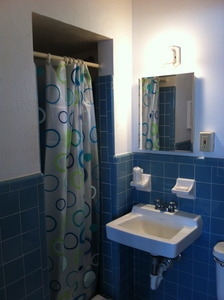 Small bathroom with compact tile shower (about the size of the bathroom on a cruise ship). 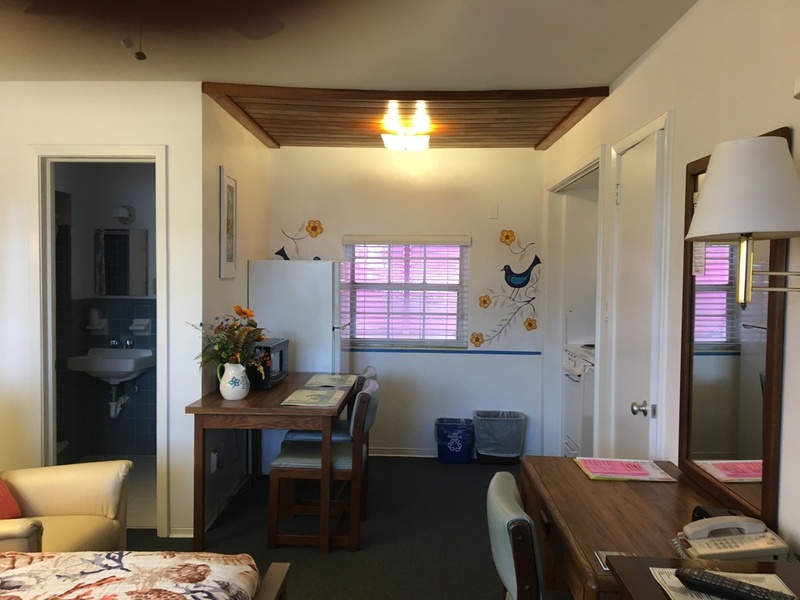 Located on the 2nd floor accessible by exterior stairs. Street/parking view. Excellent Value and a Great Choice for a Couple or a Solo Traveler.